Running a business is not a one way trip. It involves so many areas that would require a solo entrepreneur to wear many hats in order to become successful. When you’re about to start your own business, things like how to name your company (which affects your brand message, its audience and your online presence), or how to deal with the competition and how to make customers happy all factor in. There’s no better way to make this process easier than to take advice from people who are not only successful business people but are also experts in their respective fields. To help you get a good start at running your business, I’ll like to share some tips with you on starting a business from successful entrepreneurs. This is the most important first step in starting your company. 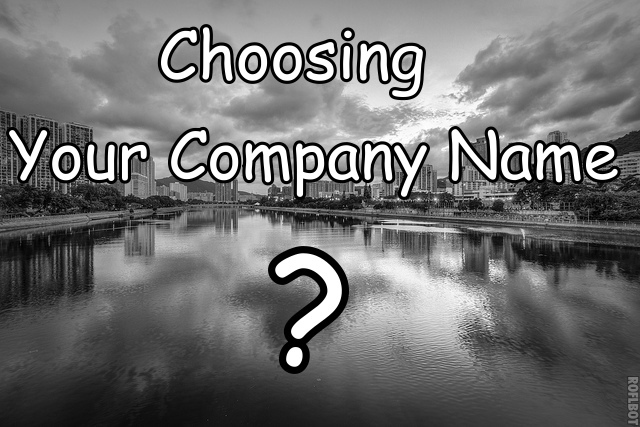 Choosing a company name is not something you should just jump at. Your business name is very important because its the first opportunity you have to tell the world what your business stands for. This means a wrong choice in naming your company can break your business before it even gets the opportunity to compete. After finding a very suitable name to run your business with, the next step is to grow your business. This is where building your network comes in. It’s important to build your network very quickly, as this can become the backbone upon which you will run your business. Neil Patel, serial entrepreneur and blogger calls your personal network a “valuable entrepreneurial asset.” He emphasizes on the importance of building a valuable asset of people whom will eventually help in growing any new company you start. Neil Patel recommends to start building your network from a very early stage. Meet new people through connections from friends and family members. Your clients are those who pay you to keep your business running. How you treat them will determine how long your business will last. Most businesses rely on referrals from clients to grow they customer base and increase revenue. Only successful business relations will lead to referrals from your customers. As you tread the entrepreneurial path, you have to uphold the mantra that your customers are the most important aspect of your business. This ideology will create a sense to only provide value to those that are paying for your products and services. To keep your first clients happy and make them return to you, you should show genuine interests in their concerns. Interacting with clients will also help you discover ways to better serve their needs and achieve customer satisfaction. As soon as you start making strides in your business, you’ll begin to notice you have competitors. They’ve been everywhere in your life, at school, at work, at the gym. But the way you handle the competition in business is distinct from how you did in your previous engagements. Avoid making decisions driven by the presence of a competitor. This is not the time start a price reduction and neither is it the time to badmouth them in order to increase your own relevance. Rather, strengthen your foothold in the industry by improving on the quality of your offerings. Make sure your key employees are happy. To keep the competitor from taking away your customers, conduct analysis to discover their strengths and weaknesses. Then make sure your business is fulfilling in all areas theirs is lacking in. The starting stage is usually seen as one of the most delicate stages of entrepreneurship. You need all the advice you can get. As you rely on the expert tips shared in this article, you will find it easier to build a successful company.